Julia <+> [MU Online Fanz] <+> Official 3rd-party [MU Online] Fan Site & Game Guide! 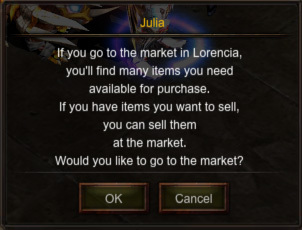 Market Union Member Julia will can teleport you to Loren Market. 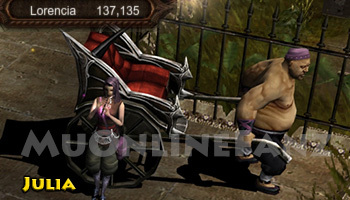 Loren Market is a common safe-zone where warriors of MU trade their goods. This NPC can be found in Lorencia (139, 137). There is no requirements to enter Loren Market. Loren Market is also known as Server 18.